According to the survey, 3 decisions of Modi govt might just change course of an election. 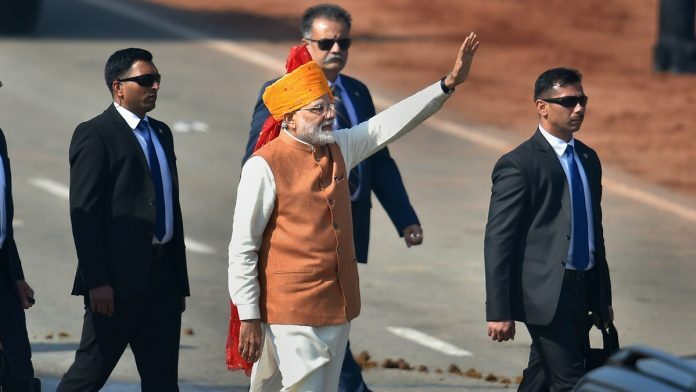 Mumbai: India’s air strikes against a terrorist camp in Pakistan, a new jobs quota and cash handouts to farmers have lifted Prime Minister Narendra Modi’s popularity back to peak levels, according to a pre-election survey. The poll found 43 percent — or more than four of every 10 respondents — wanted Modi to return as prime minister. That’s seven percentage points higher than during the 2014 elections, when a little over one-thirds had wanted him to lead the country. Conducted by the Lokniti research program at the New Delhi-based Centre for the Study of Developing Societies from March 24 to March 31, the poll surveyed 10,010 respondents spread across 19 of the country’s 29 states. Voting in India is set to take place in seven phases from April 11 to May 19 and the result will be announced May 23. Still, a rise in popularity doesn’t necessarily translate into seats for his party. In the first quarter of 2019, the Bharatiya Janata Party-led government decided to assign 10 percent quotas to economically weaker groups in India, pledged to transfer money to bank accounts of farmers and conducted air strikes inside Pakistan following a terrorist attack on security forces in India’s Pulwama. Most respondents didn’t openly say these would be the most important voting issues for them and instead chose unemployment and development as the key factors, the survey showed. “However, looking at other data from the survey, we have reason to believe that the three back-to-back happenings seem to have had impacted voter preferences and opinions, quite possibly at a sub-conscious level,” the Lokniti poll found. Who is lokniti ?I never heard of this.and when conducted the survey?I don’t believe in this survey. Yes a new player .